Mergilga Morales was last seen at her home at 5859 Brookside Drive in Mableton around 7:30 a.m.
UPDATE: Police say they found Morales safe, and she has been reunited with her family. Original story appears below. COBB COUNTY, Ga. — Cobb Police Thursday announced that a missing 77-year old woman has turned up, safe and sound, and has been reunited with her family. 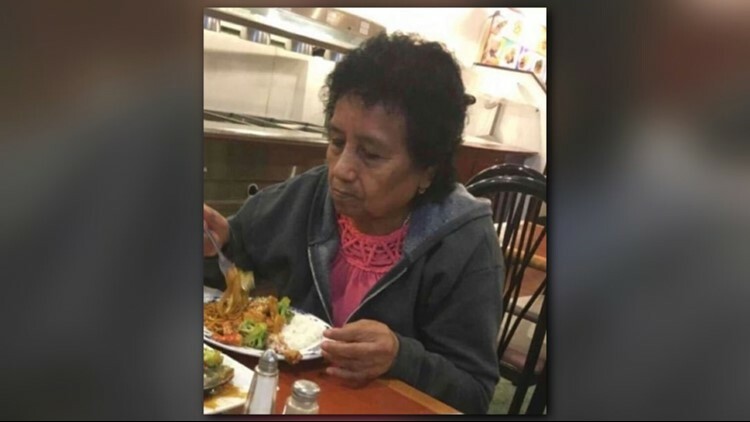 According to the Cobb County Police Department Mergilga Morales was last seen Wednesday at her home at 5859 Brookside Drive in Mableton around 7:30 a.m.
Police, at the time, said Morales did not have transportation and did not have any money. Authorities described Morales as a Hispanic female who is 5'02" and weighs around 138 pounds. Police said Morales takes medication for diabetes and high blood pressure and does not have her medication with her. Authorities said Morales had recently been making statements about wishing to return to Mexico, but her family had not made any arrangements to take her back.